Enjoy your stay, food and beverage with JAL coupons at Okura Hotels & Resorts. * Please read "JAL COUPON GUIDE" before using the facilities. * Applicable Hotels and shops are subject to change without prior notice. * Some facilities may not be used by paying in JAL COUPONs depending on the hotels. Therefore please check applicability in advance. * JAL Coupons cannot be used in duplication with other discounts of designated facilities or shops within the hotel. * When using JAL coupons at hotels outside Japan, the foreign currency exchange rate set by the hotel will be applied. 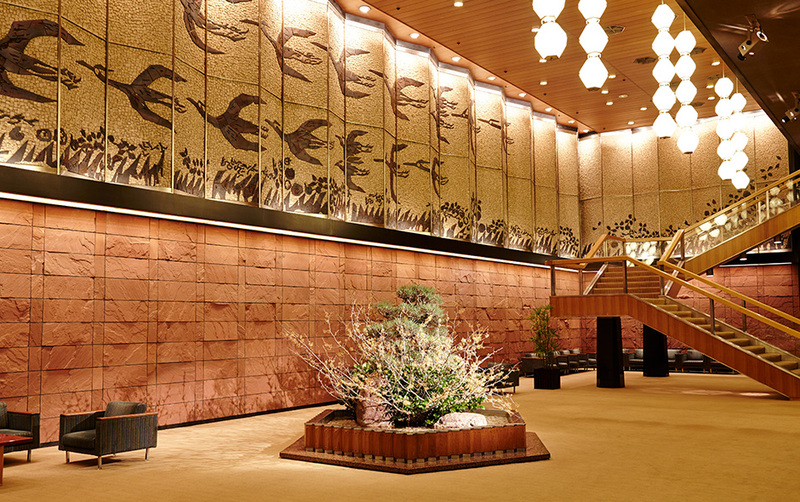 List of Okura Hotels & Resorts' facilities where JAL COUPONs can be used. Hotel Okura Tokyo Tokyo 03-3582-0111 French Cuisine / Wine Dining "La Belle Epoque / Baron Okura"
Hotel Okura Sapporo Sapporo 011-221-2333 Continental Cuisine "Continental"
Hotel Okura Tokyo Bay Urayasu 047-355-3333 Continental Cuisine "Fontana"
Okura Akademia Park Hotel Chiba 0438-52-0111 Western Cuisine "Camellia"
Hotel East 21 Tokyo Tokyo 03-5683-5683 Brasserie (Western Cuisine) "Harmony"
Forest Inn Showakan Tokyo 042-542-1234 Buffet Cuisine "Centro"
Hotel Okura Niigata Niigata 025-224-6111 Restaurant Lounge "Starlight"
Hotel Kajima no Mori Karuizawa 0267-42-3535 Restaurant "Continental Room"
Lounge & Bar "Maple Lounge"
Okura Act City Hotel Hamamatsu Hamamatsu 053-459-0111 Buffet, Western Cuisine "Figaro"
Sky Restaurant & Lounge "Paganini"
Cafe Restaurant "The Season Cafe"
Bread, Cake & Cafe "Hotel Okura Bakery & Cafe"
Kyoto Hotel Okura Kyoto 075-211-5111 Teppanyaki Grill "Tokiwa"
Hotel Okura Kobe Kobe 078-333-0111 Continental Cuisine "Restaurant Emerald"
Hotel Okura JR Huis Ten Bosch Nagasaki 0956-58-7111 Cafetrrace "Camellia"
Okura Frontier Hotel Tsukuba Tsukuba 029-852-1112 Cafeteria "Camellia"
Okura Chiba Hotel Chiba 043-248-1111 Japanese, western and Chinese restaurants "Seven Seas"
The Okura Prestige Bangkok Bangkok 66-2687-9000 All Day Dining "Up and Above Restaurant"
Bar & Lounge "Up and Above Bar"
French Cusine with Japanese Influences "Elements"
Okura Garden Hotel Shanghai Shanghai 86-21-6415-1111 French Restaurant "Continental Room"
Wine & Cocktail Lounge "Sky Bar"
The Kahala Hotel & Resort Hawaii 1-808-739-8888 All Day Dining "Plumeria Beach House"
Lunch, drink bar "Seaside Grill"
Afternoon Tea & Cocktail "The Veranda"
Boutique "Gingers at the Kahala"
Shop "Kahala Surf & Sun"